Goodreads says, "Years ago, Flora fled the quiet Scottish island where she grew up -- and she hasn't looked back. What would she have done on Mure? 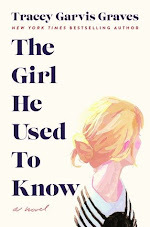 It's a place where everyone has known her all her life, where no one will let her forget the past. In bright, bustling London, she can be anonymous, ambitious... and hopelessly in love with her boss. But when fate brings Flora back to the island, she's suddenly swept once more into life with her brothers -- all strapping, loud, and seemingly incapable of basic housework -- and her father. 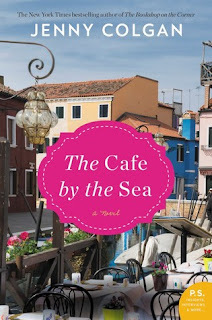 Yet even amid the chaos of their reunion, Flora discovers a passion for cooking -- and find herself restoring dusty little pink-fronted shop on the harbour: a café by the sea. But with the seasons changing, Flora must come to terms with past mistakes -- and work out exactly where her future lies..."
Flora has left behind her small Scottish island where she grew up and that's a good thing, because she can start over in London, where no one knows her. Things are good in London. She's got a great job and a huge crush on her boss. Due to a work assignment, she has to head back to the island she left behind along with the people, too, including her brothers and father. Flora learns that sometimes you find happiness in the most unexpected ways and you can't run from your past. 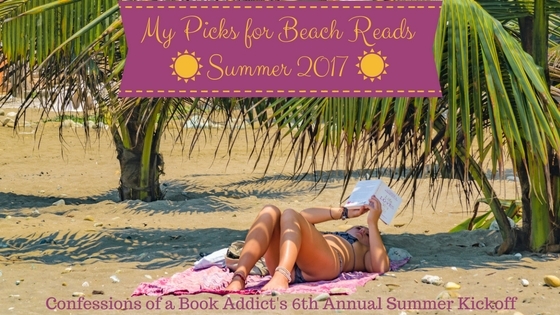 Jenny Colgan's The Cafe by the Sea is delightful beach read that warmed my heart. I was looking for a beach read that would make me smile and was light and fluffy. That's exactly what I found in The Cafe by the Sea. For starters, the character of Flora was an interesting one in The Cafe by the Sea. There's a reason why she left behind her home. Tragedy struck years ago, so she has to face that when she returns; it's obviously not easy for her. Plus, she has to deal with her family and their struggling farm. Flora finds out that many other businesses are also struggling on the island and things are a bit different. Flora also feels on the outs with the townspeople, because she left them behind quite easily for the city living in London; plus, she is working for a millionaire who is an outsider. So, not only does she have to deal with her family, she has to repair her relationship with her neighbors. The setting of a Scottish island was perfect for a summertime read. 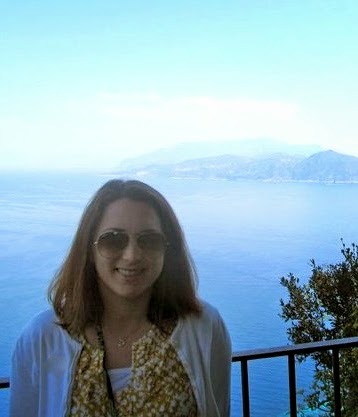 I absolutely loved the small town, the descriptions of its people, and of course the descriptions of food. Flora takes a new interest in cooking and I won't give too much away, but the book even includes some recipes! 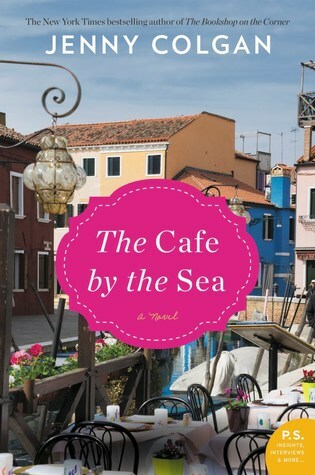 While the romance didn't knock my socks off in The Cafe by the Sea, it was endearing. Her boss, Joel, is a complex character and I liked learning more about his backstory. Also, The Cafe by the Sea is a modern twist on Seven Brides for Seven Brothers, which I am not familiar with, but I thought I would share that fun fact in case you are. So, all in all, this book was a charming beach read. Sometimes you just want something quiet, cute, and something that makes you smile. And for me that was this book. I've never read anything by Jenny Colgan, but I see her books everywhere and they always look so sweet and charming. I'm going to have to give them a try! Yes! This was my first one by Colgan and it was too cute. I hope you enjoy it! Thanks for visiting, Angela. Not too familiar with Seven Brides either, but it would be interesting to see how this book stacks up. I think there was a movie? Love the setting, and the recipes would be cool to try out. Yes, there was, but I have never seen it. I am definitely curious now! Thanks for visiting, Joy! Me too! I am very curious about Seven Brides now. Have you read any of her other novels? Thanks for visiting, Christina!